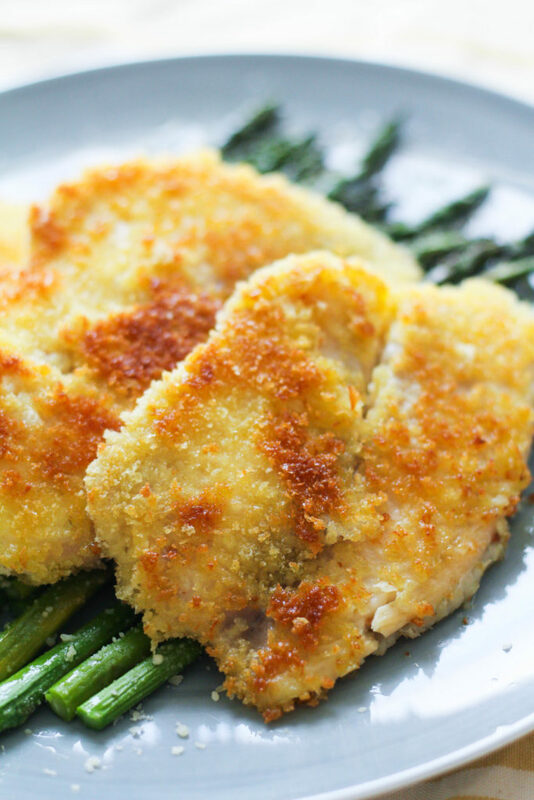 ilapia tastes great covered with a crispy panko crust and pan-fried in olive oil. Serve with seasonal fresh veggies and a grain such as couscous or rice. You probably have at least four out of five of the ingredients on hand already! Hi everyone! It’s the 22nd, which means it’s Recipe Redux day! As the first and only recipe challenge founded by registered dietitians,The Recipe ReDux is focused on taking delicious dishes, keeping them delicious, but making them better for you. I try to keep a well-stocked pantry so I can easily whip together random dishes when needed. Items I usually have on hand include: flour (all types), grains (couscous or quinoa), pasta, beans, canned tuna, tomato sauce, eggs, breadcrumbs (both regular and panko), and oils (olive, canola, walnut). My freezer is also stocked with frozen fruits and veggies (strawberries, mango, pineapple, bananas, carrots, broccoli) and sometimes fish. Lately, I’ve been buying packs of frozen tilapia– the kind that comes individually vacuum packed. You can take a filet out of the freezer and pop it under running water and it’s defrosted in a matter of minutes. Whenever the husband is out of town or not eating dinner with me, I will usually cook fish or tuna because he hates it so much, you have to take advantage of every opportunity! This month’s Recipe Redux encouraged us to cook a meal without going to the grocery store– what do you already have on hand that could be made into a meal? Well, I had frozen tilapia, flour, panko, egg and olive oil. I also had a bunch of asparagus leftover that needed to be used. 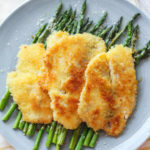 To make panko crusted tilapia, all you need is three bowls: one filled with flour, one with whisked egg, and another with panko. Dip the filets into each one, covering well, and then place in a pan with olive oil! Fry gently until golden brown on each side. I ate this for lunch along with the roasted asparagus. To roast the asparagus, simply line a baking sheet with foil, place the asparagus on the sheet and drizzle with olive oil and parmesan. Place in a preheated oven about 400 degrees for ten minutes. Yum! Do you already have most of the ingredients to make this dish? 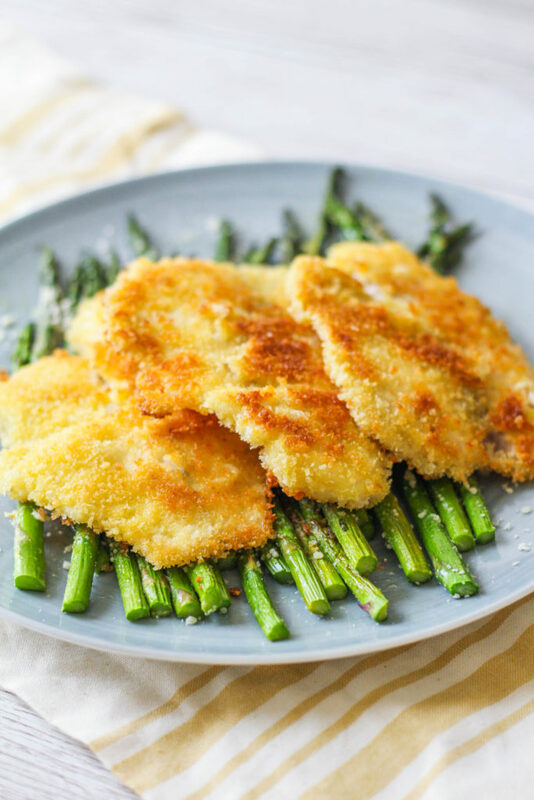 Perhaps all you need to do is go to the store and pick up tilapia filets! 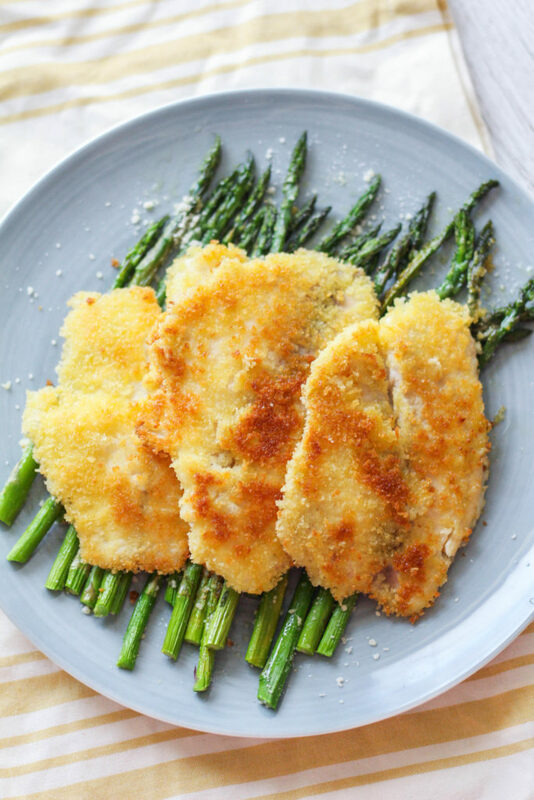 Tilapia tastes great covered with a crispy panko crust, pan-fried in olive oil. Serve with seasonal fresh veggies and a grain such as couscous or rice. Pat the fish dry with a paper towel. Set aside. Set three dishes side by side on the counter. Fill one with the flour, another with the egg (whisked + splash of water) and the third with the panko breadcrumbs. Dip each filet into the flour, covering both sides. Next, dip into the egg. Finally, dip into the Panko, making sure both sides get a nice covering. In a medium skillet, heat the olive oil over medium heat. Add the fish and cook 2-3 minutes per side, until they're golden and crisp and the fish easily flakes. i bought some white fish and was looking for simple ideas. this is just perfect Emily..